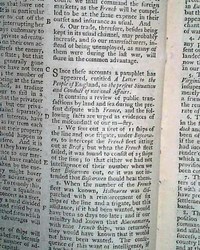 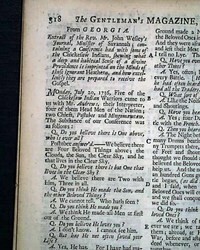 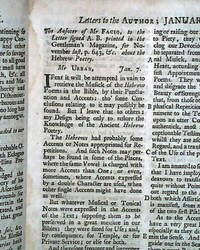 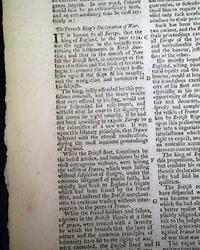 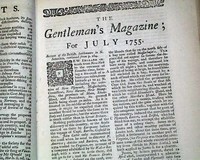 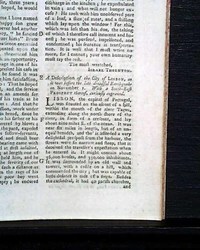 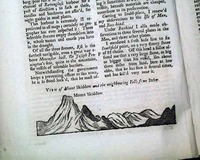 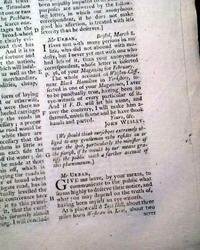 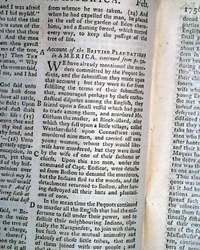 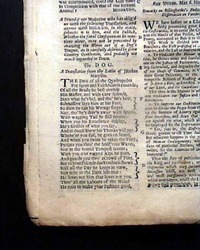 THE GENTLEMAN'S MAGAZINE, London, August, 1736 A very nice pre-Revolutionary War magazine from the "mother country" with a wide range of varied content including news of the day, political reports, literary items, and other unusual tidbits. 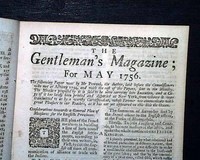 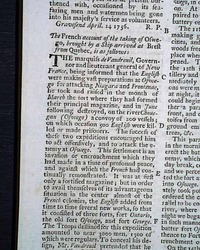 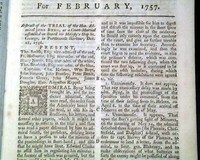 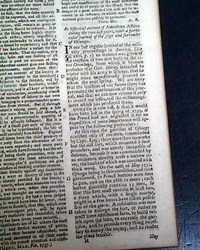 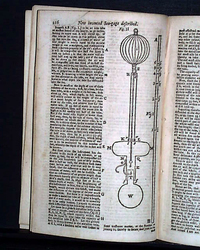 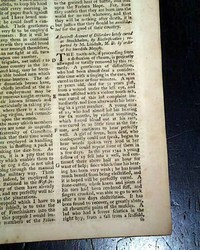 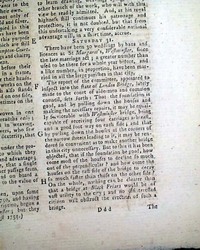 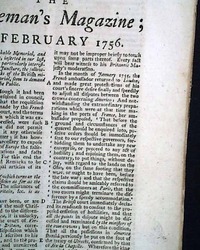 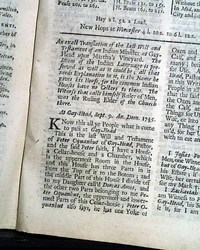 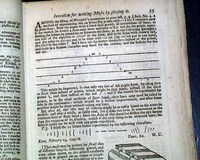 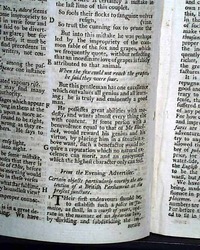 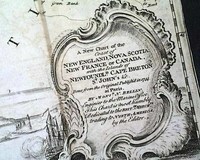 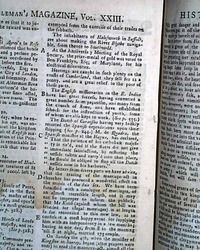 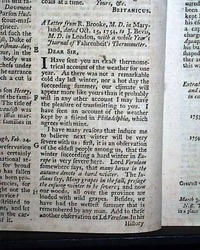 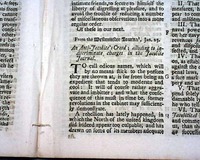 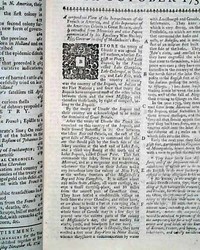 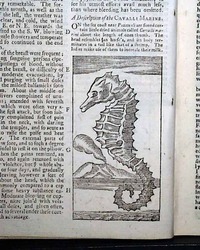 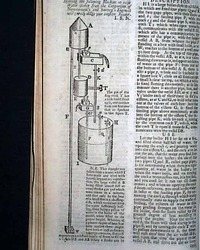 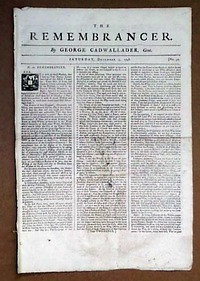 This was the first periodical to use the word "magazine" in its title, having begun in 1731 and lasting until 1907. 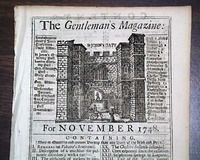 THE GENTLEMAN'S MAGAZINE, London, October, 1748 One of the better items in this issue is discussion of the proceedings at Aix la Chapelle towards the treaty that would end tthe War of the Austrian Succession in Europe. 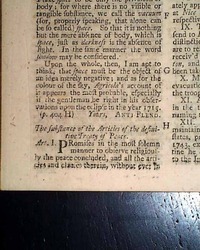 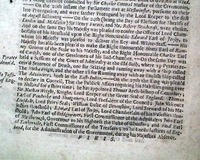 A bit further on is: "The Substance of the Articles of the Definitive Treaty of Peace" which takes over a full page. 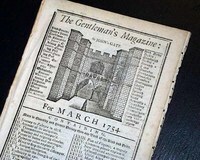 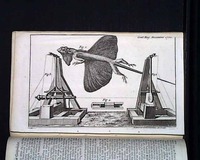 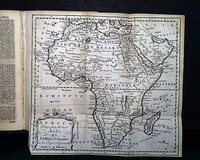 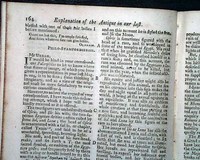 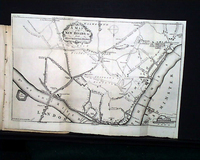 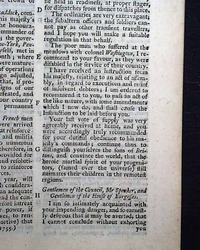 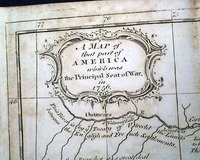 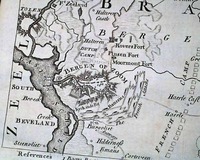 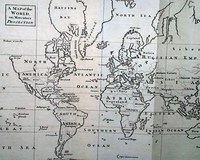 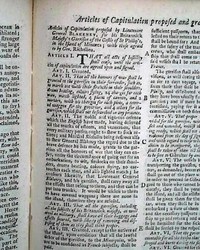 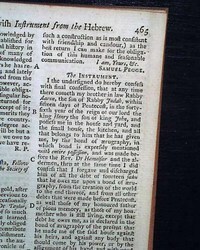 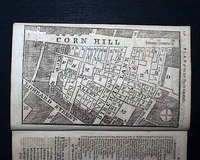 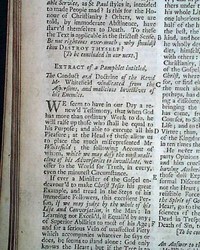 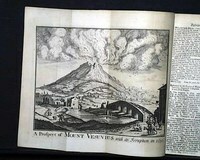 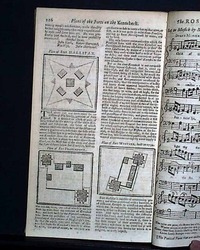 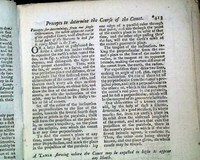 THE GENTLEMAN'S MAGAZINE, London, November,1748 The most significant content in this issue would be the "General & Definitive Treaty of Peace", more commonly known as the Treaty of Aix la Chapelle which ended the War of the Austrian Succession. 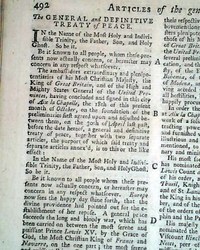 This treaty takes five pages.